I have a new foam projectile that I've been working on perfecting for the last few years. I'm trying to bring it to market, but the injection molds are crazy expensive. If you're interested, I'm looking for your help. I've launched a kickstarter campaign in hopes to generate enough pre-order sales to pay for the manufacturing of the injection molds. If you are un-familiar with how kickstarter works; basically you agree to pre-order items. If enough pre-orders are placed to reach the funding goal, then at the end of the campaign, everybody that agreed to pre-order is charged for the amount they selected. If there are not enough pre-orders placed, NOBODY is charged anything. If the campaign funding goal IS reached, then kickstarter will collect the money, then I can use that money to order the injection molds. After a few months, the orders will be completed and shipped out to the customers. If you are interested, please help me with the campaign or at least help me spread the word to those that may be interested. If you have any questions, feel free to ask. I subscribed to this topic and will respond to your questions as soon as I can. Lower Mainland Airsoft Group has activated their shortcut domain name this year. Maple Ridge Paintball has turned over its field to a new company, so we are currently participating in the new game hosting framework at Panther field. Anyone that posts a scenario on a clearinghouse group in fb (GVAC) assumes responsibility for providing the game. But Panther enforces the safety rules, which are a slightly modified version of LMAG's rules. That is, snipers are limited to 500, all other guns are 400. Sniper rifles can only shoot you past 100 ft and you only get to shoot semi auto closer than 30 ft. Add semi-auto only when shooting around and in structures. Other rules are as before. Anyway, may we see you soon on the field. And remember, you can reach us at lmag.ca now. New Airsoft Store in Nanaimo, B.C. A store will be opening next Saturday in Nanaimo. It is at 225 Terminal Ave. on the main drag going through Nanaimo. It is in the same building as NRC Hobby Shop. Just starting out so stock is minimal right now but will build quick. They want your input so they can carry items that we as airsoft enthusiast really want. Only real store north of Victoria I believe. Lets support them. It’s a shooting sport often compared to paintball, but instead of firing balls of paint, players shoot small plastic BBs. However, the sport also uses realistic-looking guns that have been implicated in several recent U.S. police shootings where officers mistook them for deadly weapons. The sport is called Airsoft and members of Richmond city council decided Monday night to reject businessman Eric Lam’s application to build an indoor facility for the sport on city land. City staff had already rejected Lam’s proposal because it didn’t fit with the city’s zoning and firearms bylaws, but he had asked city council to reconsider. In an interview before the vote, Richmond Mayor Malcolm Brodie cited zoning and broader public concerns about the use of firearms and public safety. “The report says it contravenes the rules, so the question is: does council want to change the rules?” said Brodie, adding that he was specifically concerned the sport was dangerous for participants and that the guns players use look too realistic. A majority of councillors voted against allowing the business, with only councillors Carol Day and Alexa Loo voting in favour. “I find this activity totally abhorrent,” said Coun. Harold Steves. Earlier, Lam told councillors his $523,000 facility — the first of its kind in B.C. — could bring as many as 10,000 participants annually. Addressing some of the concerns, Lam said many paintball guns — which are sanctioned by the city — look like real firearms. He showed councillors a video from a local paintball operation to show that sport does not look much different from Airsoft. “Most of us have never seen a video like that and it freaks you out,” said Day. Many councillors said the type of violence in the video was not something they wanted to see in the city. “You want to provide a facility where guns can be shot at people gangster-style … and I want you to explain how this is safe for the city,” said Coun. Bill McNulty. Lam told councillors Airsoft guns were already being sold in Richmond businesses and said there was a strong community following for the sport. He asked councillors how the city intended to stop people from playing the game in their homes — adding that in his facility, trained staff could monitor players. He argued that sports like Airsoft and paintball have a lower rate of injury than many other sports played on a daily basis in the city. He also showed a second video that compared conventional Airsoft BBs to paintballs. The video showed that paintballs hit their targets with much greater force than do Airsoft BBs. But the mayor and some councillors said they were more concerned about people getting seriously hurt outside the facility. Johnston asked whether Lam thought it was a good idea to have people carrying guns that looked like AR-15s or other assault rifles to the facility, and other councillors pointed to recent incidents in the U.S., where people brandishing Airsoft guns were shot and killed by police who mistook the guns for something deadlier. One of the latest occurred Sunday when San Francisco police fatally shot a 32-year-old man who was holding what appeared to be an Airsoft pistol. In a report to council, chief licence inspector W. Glenn McLaughlin had recommended that council uphold its decision to refuse the licence to Sigma AEG Arena to operate an Airsoft Gun Arena at 6711 Elmbridge Way. The report noted, among other things, that the facility would operate in an area zoned Industrial Business Park, “which does not include an indoor shooting range as a permitted use,” and that an Airsoft gun — which can shoot up to 700 BBs per minute — falls within the city’s definition of a firearm. Day said she wanted to hear more from possible stakeholders like the RCMP before rejecting the proposal. Councillors also directed staff to look further into whether Airsoft should be permissible in the future. 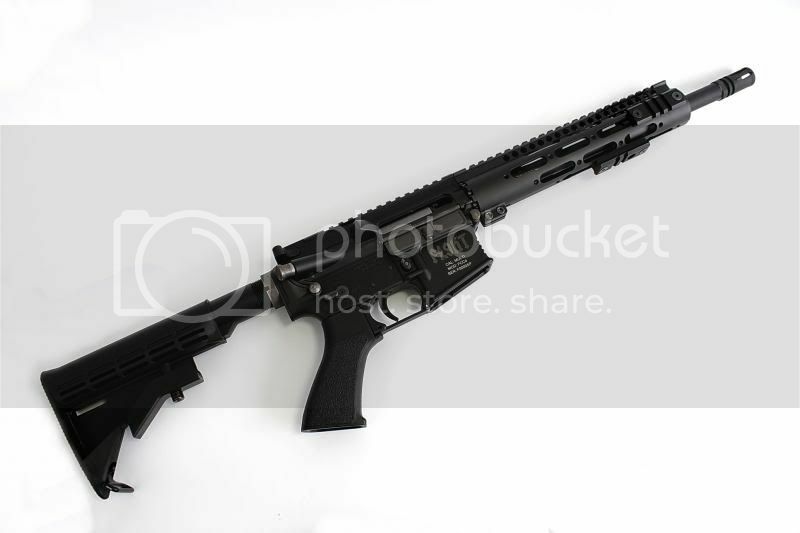 Need help buying first airsoft gun! 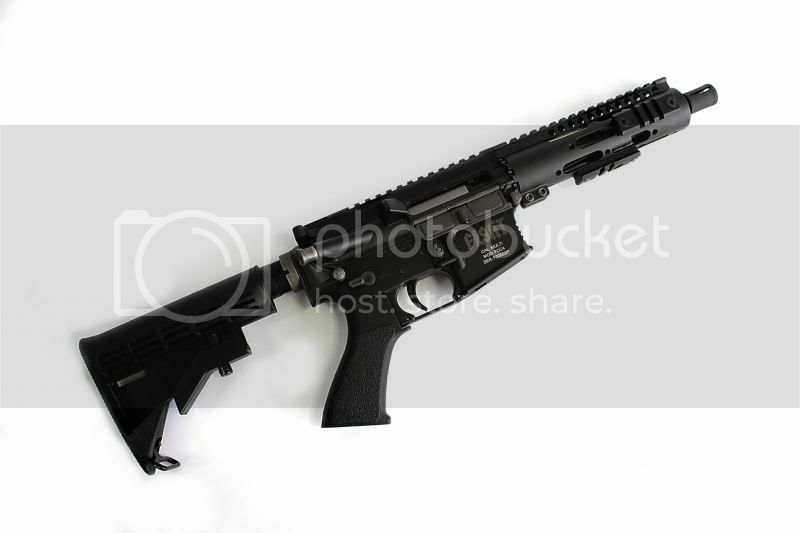 So, ive been searching the internet for quite some time now about the canadian airsoft importation laws and alot of people are saying if i order a black airsoft gun under 366 fps it will be destroyed at customs and i will get fined.. I found a cheap mp5 a5 ($25) with 220 fps on airsplat.com and i was about to order it until i stumbled upon a forum where some guy was saying you cant import guns under 366 fps into canada or it will be seized by the faggots at customs. If this is true whoever made this law must have been high on heroin. So your telling me i cant buy a airsoft gun because it isn't powerful enough therefore its illegal? 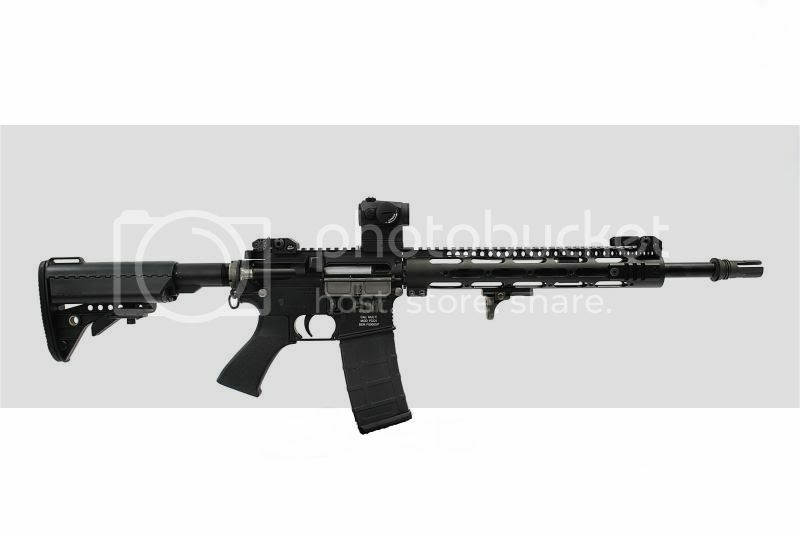 pfft... Im on a really tight budget ($70) and i just want a decent entry level aeg that i can ship to my house in canada. 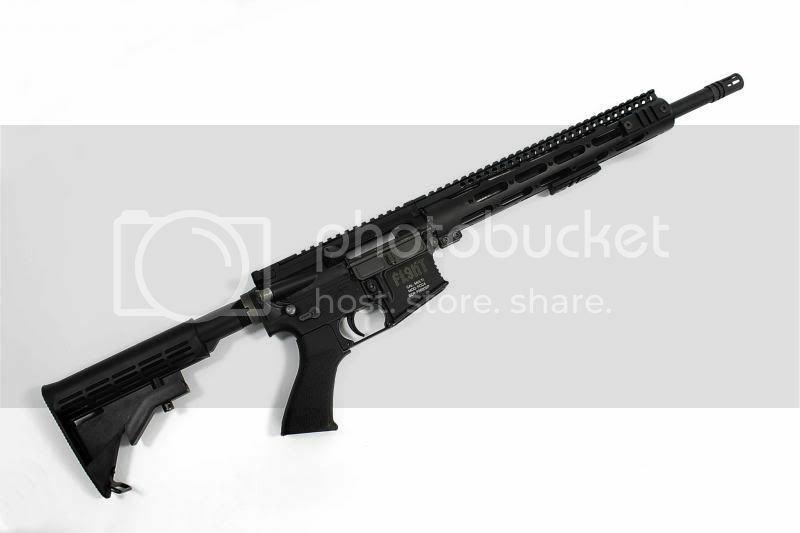 if anyone knows any good websites where i can buy a decent aeg (preferably black) for under $80 that i can ship to my house in canada it would be much appreciated. I see tons of good deals but there all us only shipping. Any advice would be nice i just need some clarification this has gotten me quite frustrated. OTTAWA — Is a pellet gun a firearm? That is the question that Canada’s Supreme Court will answer after an Ottawa man’s lawyer argued that a recent Ontario Court of Appeal decision has exposed owners of pellet guns purchased at sporting good stores to criminal prosecution and potentially lengthy mandatory minimum prison sentences. On Thursday, the country’s highest court agreed to hear the case of Christopher Dunn. Dunn, 45, had his acquittal on firearms charges overturned after the court of appeal disagreed with an Ottawa judge’s ruling that the Crosman Model Pro 77 air gun Dunn was accused of brandishing in April 2010 met neither the definition of a firearm or a weapon. According to the Criminal Code, a firearm is any barrelled weapon from which any shot, bullet or projectile can be discharged and is capable of causing serious bodily harm or death. But the definition of weapon is defined as anything used or intended for use in causing death or bodily injury or for the purpose of threatening or intimidating someone. The court of appeal unanimously found that any pellet gun capable of firing a shot with a velocity capable of causing serious bodily harm met the definition of a firearm, regardless of how it was used or if it was used. It was a significant about face for the court of appeal — previously they had twice ruled an air gun was only considered a weapon if it was used to cause bodily harm or to intimidate someone. Dunn’s lawyer, Solomon Friedman, argued that the consequences of their decision are far-ranging and of national importance. It exposes pellet gun owners to charges of careless storage as well as other offences carrying mandatory minimum sentences, he argued. Parliament never intended readily available pellet guns, sold in stores like Canadian Tire and Walmart, to be classified as firearms, Friedman argued. In their response, the Crown’s office argued that the court of appeal’s decision fixed a “jurisprudential glitch” that affected only a handful of cases in Ontario. According to the Crown, the court of appeal decision “simply restored” the prevailing interpretation of a firearm that had existed in Ontario before another 2006 appeal court decision and across the rest of Canada. A date has not yet been set for the Supreme Court hearing. Show us your broken optics! Post a video to YouTube 1-3 minutes in length telling us why you need a Black Watch Optic Shield and post the link to the video under this status update on Black Watch Optic Shields FaceBook page https://www.facebook.com/BlackWatchO...97107410398571. We will choose a winner to receive 1 Optic Shield for every 10 videos posted there! 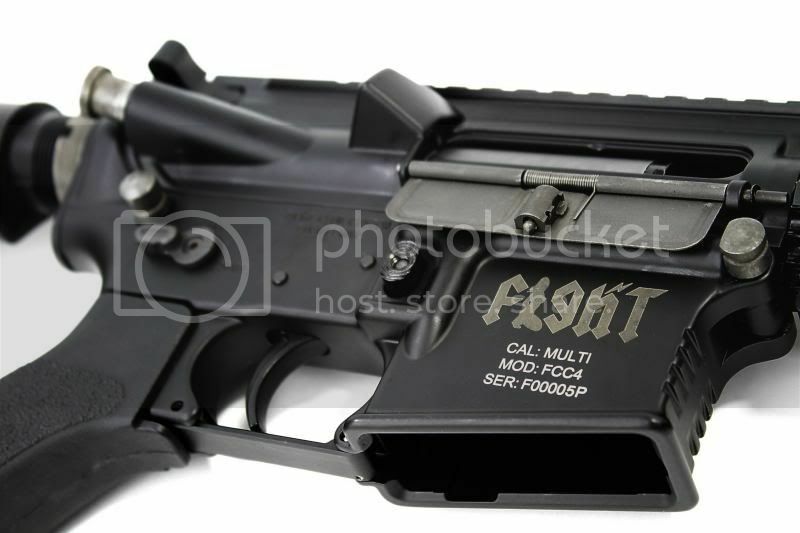 See http://www.airsoftparts.ca/store2 for styles available. Contest closes Friday July 5th, limited to US and Canadian residents. I just heard from my friends in HK, as well as in the news (Appledaily) that UN Company was raided by police on thursday night (HK). Apparently the store had been modding airsoft guns to exceed the 2J limit. Any guns over 2J in HK is considered a real firearm. 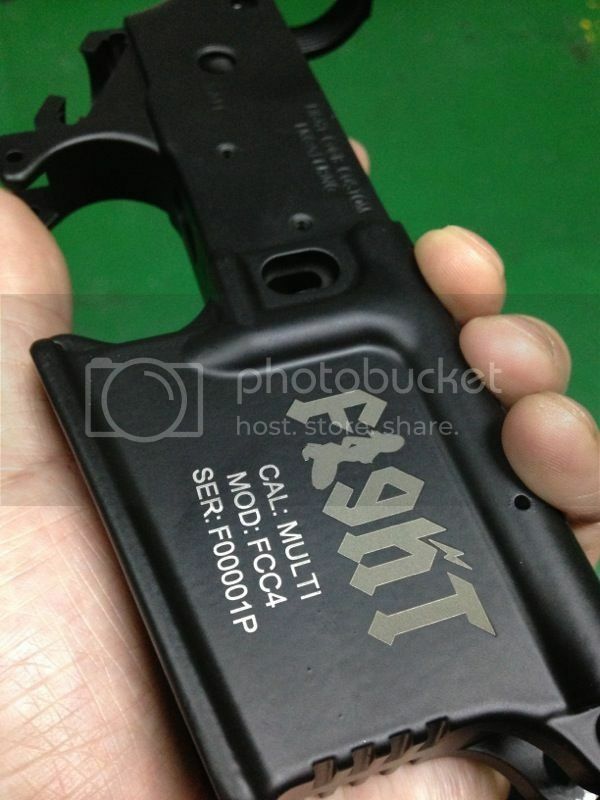 Apparently the airsoft guns have been modified to over 3J by UN Company. The owner of the store was arrested and over 4000 airsoft guns were siezed from the store and the warehouse. So basically if you bought anything from UN Company very recently, expect some delays to your purchase. P.S. - From what I understand that if they are convicted, those guns will be destroyed... what a waste! 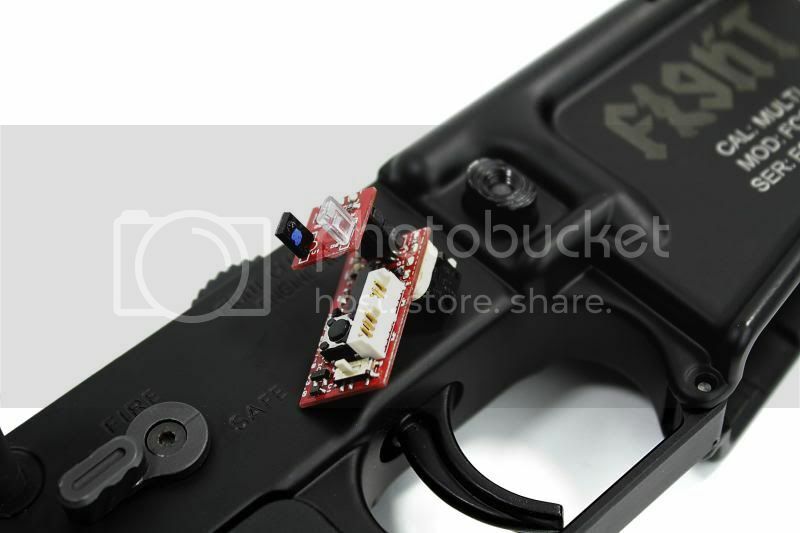 It seems CWI has the Smg-8 in stock no release word from WE. For the peeps of ASC thanks to totentanz from AK. Hope you enjoyed your New Year Holidays. 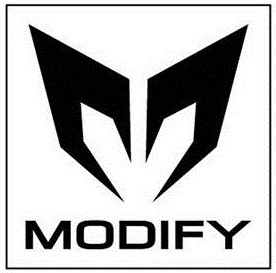 Modify is known as manufacturer of internal upgrade parts, but now we are going to bring some new to players. 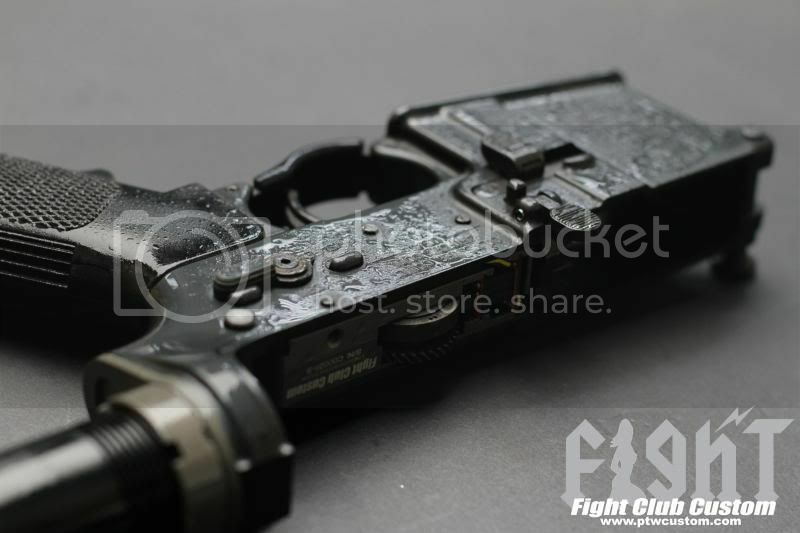 We not only sell parts, but also the complete gun now!!!! Going through a period hard working, we combine the Modify Spirit and professional on manufacture. 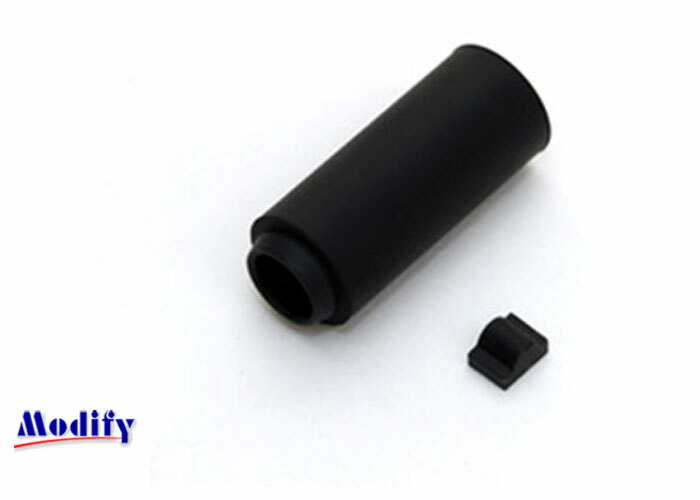 SNIPER-MOD24, is highly anticipation from Modify supports and industry. Attached is MOD24 poster. 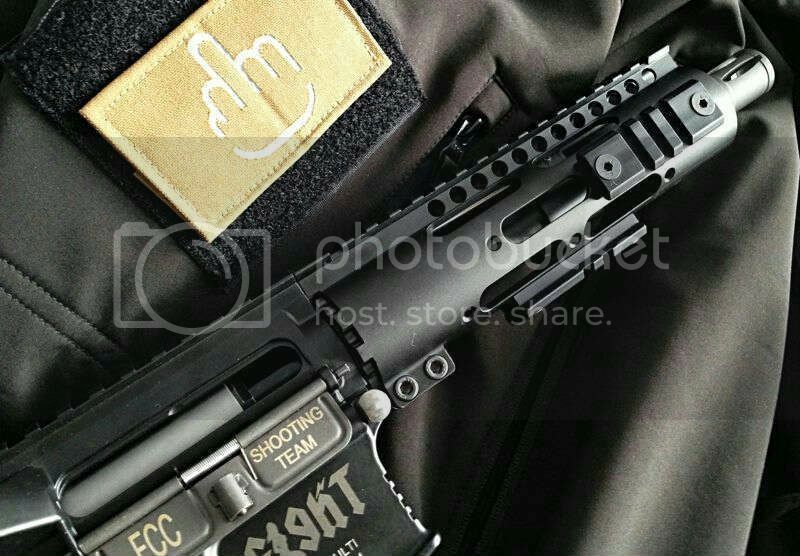 Please follow us on facebook and some international Airsoft forum. More and more news would be released soon!!! The Magpul PTS PDR has been one of the most anticipated airsoft projects since it was revealed in early development at the 2011 SHOT Show. 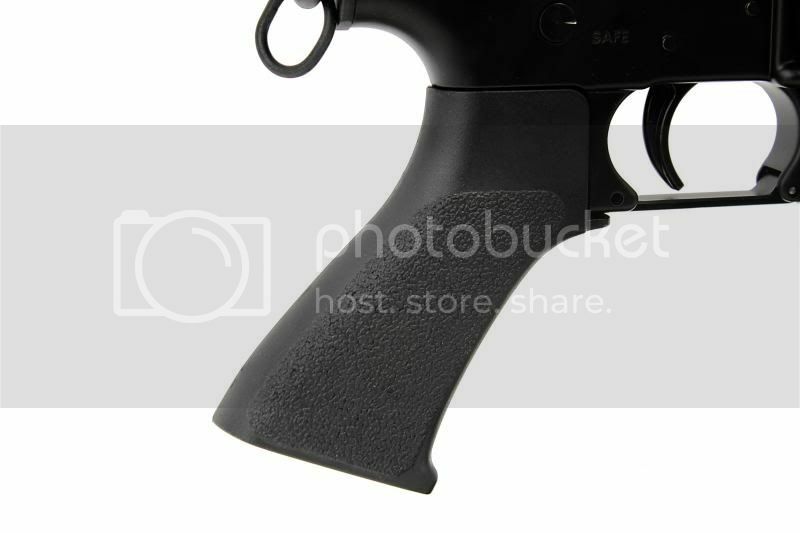 At that time, it was only a shell with a magazine, but people were captivated by the design and the idea of a compact PDW type rifle that could take STANAG magazines. This year, at SHOT Show 2012, we got to check out the completed AEG. Read on to see why the PDR may be one of the best designs we’ve seen for a bullpup or PDW weapon. Next to the Magpul USA booth on the SHOT Show floor, there was a small nondescript booth fully enclosed by wood panel walls. No markings advertised which company might be inside, but we caught a glimpse of Gregor from AATV with an AEG we didn’t expect to see. It was the Magpul PDR airsoft rifle, and we got a chance to talk with Sam and Alex from Magpul PTS about the prototype. The PDR was originally developed by Magpul to address the need for a personal defense weapon that provides more power than a pistol but is much more compact than a rifle or carbine. Since the Magpul PDR was designed to accept standard M4 magazines and fired the 5.56 round, it was more powerful than weapons like the MP5-K. It was also easier to deploy than weapons like the FN P90 or HK MP7 due to their use of exotic ammo and proprietary magazines. While that project is currently on the shelf somewhere outside of Boulder, CO, Magpul PTS was given the green light to proceed on an airsoft replica of the PDR. Re-modify the 3-rings model. New upgrade version 2-ring+ brings the better performance. 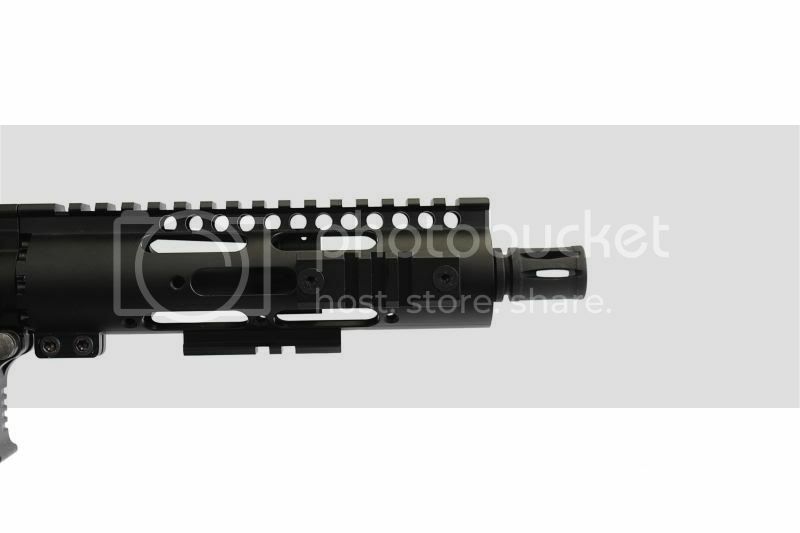 It is perfect for the Modify Hybrid Inner Barrel. 1)	2-Rings make the excellent air seal. Really sad to hear that!! Personally I don't see the point. I wish they would focus on making new guns instead of making another one even more pointless than the Supermax. The Allied invasion of Sicily, codenamed Operation Husky, was a major World War II campaign, in which the Allies including Canadian units such as the 48 Highlanders, Royal Canadian Regiment and the Hastings and Prince Edward Regiment, took Sicily from the Axis (Italy and Nazi Germany). It was a large scale amphibious and airborne operation, followed by six weeks of land combat. It launched the Italian Campaign. Operation Husky began on the 10th of July 1943, and ended on the 17th of August. Strategically, Husky achieved the goals set out for it by Allied planners. The Allies drove Axis air, land and naval forces from the island; the Mediterranean's sea lanes were opened and Italian dictator Benito Mussolini was toppled from power. It opened the way to the Allied invasion of Italy. TORONTO - Second World War veteran Bruce Malenson is again fighting for something he holds dear — 67 years later. This time, the 90-year-old is fundraising to patch the leaking roof at his 75-year-old Royal Canadian Legion branch in Etobicoke. “All legions have problems,” he said. “But our main problem today is our moneymaker,” Malenson said, referring to the roof of Irwin Hall, which the branch rents out regularly for events, but barely breaks even on expenses. That’s why the roof couldn’t immediately be replaced when it began leaking three years ago. “Hall rentals are really our only form of making funds,” Gregory said. Without that income, the branch might not continue to be a safe haven for the 340 members who gather to reminisce and hold charity events. Other legion branches have closed due to financial difficulties and declining ranks. Gregory’s voluntary presidency is wrapped in family history; a great-grandfather is buried at Vimy Ridge in France; and a grandfather fought in World War II. A locksmith, he occasionally makes minor repairs. Many members with trade skills have done the same. “I’ve spent thousands of dollars out of my own pocket,” Gregory said. Now the roof could cost up to $80,000, based on estimates. Luckily, a Superior Spray Foam employee offered to do the job for $25,000, with no money upfront. “The way that I’m looking at it is, he’s basically just covering his own end,” Gregory said. The only problem is that the branch has $2,800 for the repairs. That’s where Malenson comes in. “We’ll accept any amount whatsoever,” he said. Ten years ago, he helped build a memorial in France, dedicated to Canadian veterans. War is hell, he says, having signed up for it at the age of 17. “I’m lucky, I came home,” he said. According to him, 46,000 veterans never returned. The branch is now campaigning to raise $25,000 to begin repairs on the roof before winter. To contribute, contact the RCL branch 286 - 416-741-5660. Capital Airsoft Expanding to Large Indoor Facility Fall/Winter 2012! Yep, you heard that right. This fall/winter (or as soon as we pin down a location) we are opening a 10,000sq/ft + Indoor play area. It could be as large as 20,000sq/ft depending on the location we find. The facility will be placed somewhere west (anywhere along that Anthony Henday corridor). Easy access to Henday for players anywhere in the city is essential. Extended hours will be introduced to allow lots of gameplay time after work. Many thanks to all of those in this community that have supported us and shopped with us over the years! We couldn't do this without you. We hope to answer the question of new players "Where can we play?" and old players "I want to play!". The new facility will feature a large showroom, a FULL selection of stock, full time gun doc, many sales staff to work the showroom as well as the range, a Range Manager to operate all aspects of the play area and keeping things exciting/different, and lots more. We will be offering many different classroom courses and training to help teach airsoft basics, tactics, repairs, etc. There will be a VIP/Party room, and yearly memberships available with perks. The game area itself will have no expense spared. Ambient lighting and sound, textured (sand look) floors, and professionally designed and built environment. When stepping into the area, you will forget what is outside your immediate vicinity and be absolutely immersed in the tactical situation you are facing. Gameplay will be more technologically advanced than ever seen before. Thanks to the genius of the infamous DonP of AE Innovations, there will be electronic controlled and wireless objectives. The objective points allow for up to 3 teams in play, and attached LCD screens will show game points, time remaining, status of other objectives. Simply push and hold your teams coloured button, and watch the lights tick towards the top. Once taken, the objective will announce audibly "Objective Taken" and points will start being awarded to your team. Think "Battlefield" in real life. Pricing will be competitive and not much more than we are currently charging. Rentals and repairs available on site. Post up any questions/requests you may have here. Again, many thanks from the team! Many To One Online Auction for CFFF! We have some amazing packages and individual items up for grabs this time! Click on the picture to be taken to the auction and a detailed description! Steam Whistle V.I.P Tour for 10! We’d like to introduce our new logo. You may already see it on some of our new products!! This new logo is for some new series line, and would exist at the same time along with our original logo. This loge inherits the spirit of our original logo, and new image was merged. Every sudden inspired creates a products, so more and more new things born, meanwhile, the new logo was made and it’s more powerful and impressive. The idea of this logo design comes from Mask. In the ancient Rome, warriors wear helmet, round shield, greaves and breastplate..... The most representative is the mask, which shows their fearless, passion and hero image. And we think every Airsoft gun player are warriors like in the Rome. Therefore, this logo brings player new image of our modify products. Meanwhile, another interesting meaning is that reminding player wears mask during fierce game for safety sake. In the future, customers would see this logo on our new product line, the Modify spirit would continuous exist in this cool logo also bring customers visual difference. With this logo evolution, we assure you this is the new upgrade for value, service and products. 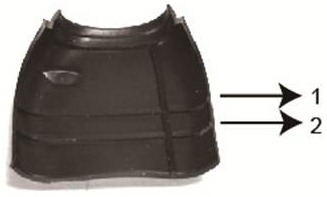 Modify Parts can make the difference for AEGs! 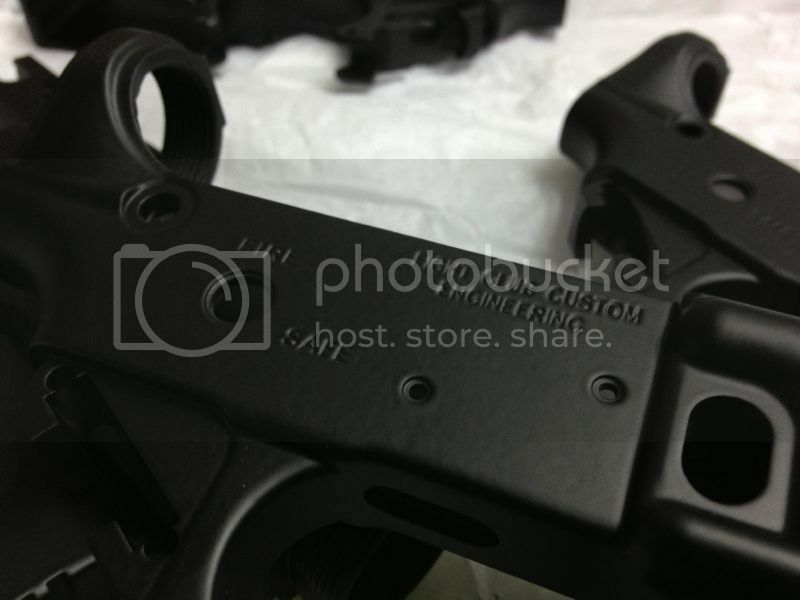 We are the best for Airsoft upgrade internal! Modify Built for Speed and Accurac! Subject: URGENT : Package delivery failed! "To download the shipping receipt, in PDF format" is an exploit coming from some Chinese company "brilliant-city-ent"
I've called canadapost and they are aware of it, just thought I should raise the flag here. Wallace from ZShot has updated us with some news of the 2012 P.T.W from SYSTEMA. 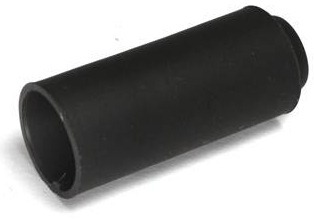 The inner barrel has undergone some changes to the shape at the tip of the barrel, designed to not disturb the trajectory of the round as the compressed air ejects the BB from the barrel. We added an improvement to the HOP adjuster, maintaining the accuracy of short range targets while increasing the flying distance for long range targets. A new 7511 type motor boasts a newly designed Core Piece and Commutator for the 2012 model. Neodymium magnets with improved heat resistant performance have also been integrated. 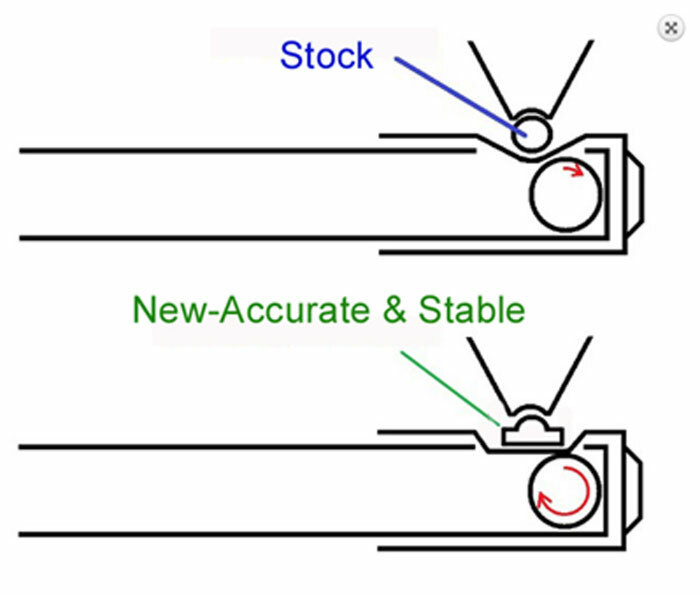 The bearing size has also increased. With those improvements, an even higher output and greater durability performance is ensured. New Stainless Steel Cylinder Unit maintains its shape aiding stability and accuracy. And finally, for the 2012 model, we incorporated the MAGPUL Company’s back-up rear site as well as the trigger guard in our Challenge Kit.